Growing up in her indigenous community on Brazil’s coast, Maikele Ferreira Nascimento would wake up at 4 a.m. every day to go to the river to bathe. After eating a hearty breakfast of beans and meat with her eight siblings, she would then walk five miles to the school bus. Maikele didn’t have a backpack, so she carried her school supplies in plastic bags to protect them from the heavy rains. If the bus could make it through all the mud, it would be another hour before she arrived at school. It was tiring, Maikele acknowledges, but this is what you had to do if you want to go to school. 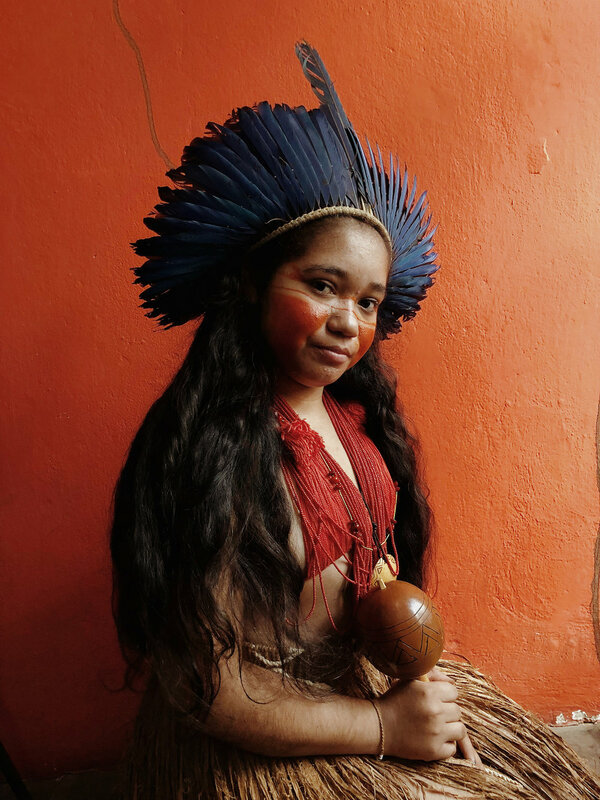 Maikele is a 17-year-old Tupinambá, an indigenous tribe from northeastern Brazil known for their ocean fishing and farming of cassava and corn. Long treks to school, low-quality education and poor roads prevent many indigenous students like her from learning. In fact, indigenous populations in Brazil have the highest out-of-school rates in primary and lower secondary school levels in the country. And while indigenous people represent just 0.5% of the country’s total population, they are 30% of its illiterate population. The discrimination Itocovoti experiences is part of a larger problem of marginalisation and violence against indigenous peoples that has persisted in Brazil for centuries. Since the mid-1800s, exploitation of natural resources and governmental colonisation programmes have forced indigenous people from their lands. “Mining interests are turning to our lands to exploit the soil, to extract minerals and rocks,” explained Itocovoti. Disputes over land continue into present day as indigenous communities fight to reclaim tribal lands — Maikele’s father was assassinated as a result of a territorial conflict near their village of Serra das Trempes. Her family was forced to relocate to Serra do Padeiro, another Tupinambá community, for their safety. Living in Serra do Padeiro makes it easier for Maikele to get to school — the bus now picks her up right in front of her house. But Maikele still faces difficulties. “In the rainy season it is almost impossible to have classes,” she says because of the poor roads. Anaí (National Association of Indigenous Action) is an organisation supported by Malala Fund’s Gulmakai Network. 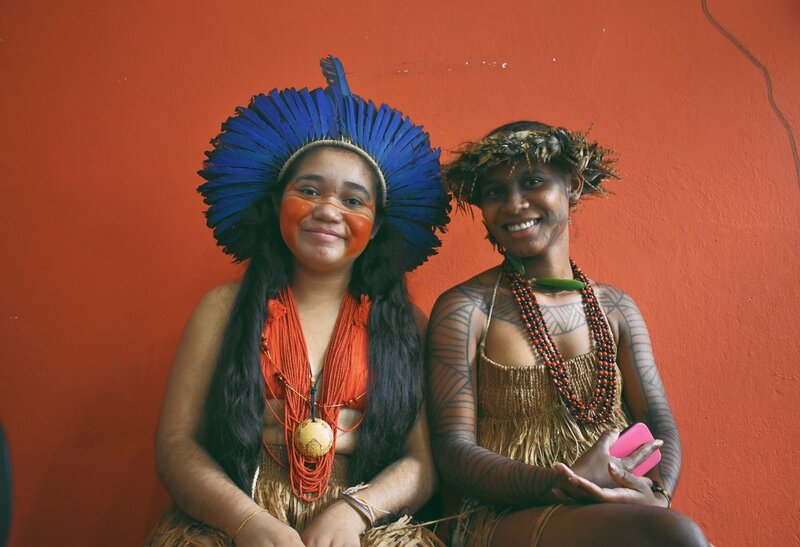 Anaí works to help indigenous girls like Maikele and Itocovoti go to school.